This Scarlet Red 87-89 Mustang convertible top boot will provide a clean look as well as protect the top while it is in the down position! Looking for a top boot to finish off the restoration on your 1983-1989 Ford Mustang Convertible? The top boot is a great way to clean up the rear of your Mustang convertible when the top is down. The boot simply snaps on over the convertible top with buttons and plastic attaching strips. This convertible top boot comes in scarlet red for a factory look and finish. Don't let the sun ruin the new top you just had installed on your Ford Mustang Convertible. This scarlet red top boot is the perfect way to protect your convertible top from the sun, dirt and any other harmful debris. Pick one up today from Late Model Restoration! 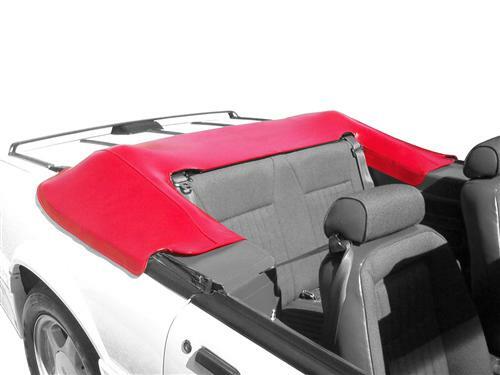 This scarlet red top boot will fit all 1983-1989 Ford Mustang Convertibles. 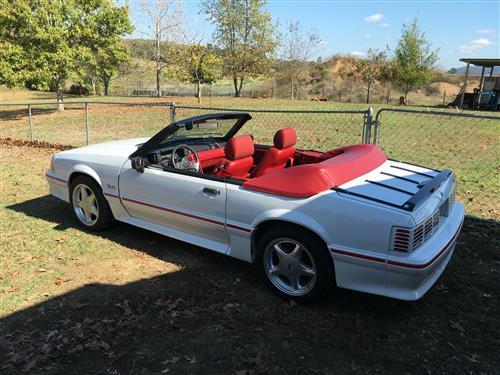 The scarlet red is the correct color for 1987-1989 Ford Mustang Convertibles.